Jack Lisowski says he will need to play better if he is to progress to the latter stages of the UK Championship. The world number 48 prevailed 6-4 past Zak Surety in York on Tuesday to reach the second round. 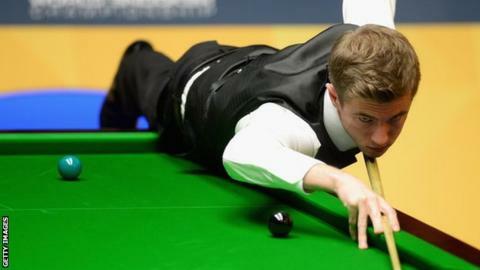 But the 24-year-old from Cheltenham believes he will have to be much improved against either Nigel Bond or Graeme Dott on Sunday. "I was not great, so I need to improve - but I'm glad to be in the tournament," said Lisowski. "It was a close game - there were just a lot of scrappy frames and it was quite tense. "I think I need to improve and get in a few more days' practice." Lisowski has returned home before a possible meeting with former world champion Dott in the next round. "I have had a few deciders with Graeme Dott and obviously he is the favourite," he said. "I think I have won one and lost one against him but you never know."